AR4400 is an all purpose dry-film lubricant, based on nano-tungsten disulfide (WS²). AR2600 is specifically designed for application and performance in environments where a sticky or fatty layer is not wanted or should be avoided, but where heavy-duty lubrication is desired. AR4400 is an all purpose dry-film lubricant, based on nano-tungsten disulfide (WS²). AR4400 is specifically designed for application and performance in environments where a sticky or fatty layer is not wanted or should be avoided, but where heavy-duty lubrication is desired. Once applied, AR4400’s chemical chelation process constructs a very robust matrix in the host alloy surface. This matrix bonds with the surface and stays in place, offering a very low coefficient of friction in all extreme environments, where conventional lubricants wash-out, dry-out or get pressed away. Archoil AR4400 is no additive to host oils or greases, as it is a lubricant on its own. It is very suitable as an assembly lubricant. Archoil AR4400 is an all-purpose cleaner, lubricant and corrosion inhibitor. AR2600 is a unique formulation of synthetic oils and additives specifically formulated to provide exceptional protection against wear, rust, saltwater corrosion and fouling. 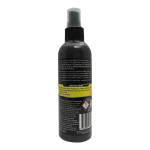 The natural solvency of the synthetic oils and nano cleaning additives remove surface deposits allowing the nano tungsten disulfide (WS2) to bond to the surface. As a cleaner apply to surface and let sit for a few hours or overnight, then wipe clean. As a lubricant simply apply to surface. AR4400 does not need to be wet to work. The WS2 immediately forms a low friction, hard surface on metals, wood, plastic, etc. Store Archoil AR4400 in dry conditions. Archoil AR4400 can be stored for 5 years. Keep opened packaging firmly closed. Store Archoil AR4400 at temperatures between 5° C and 30° C.